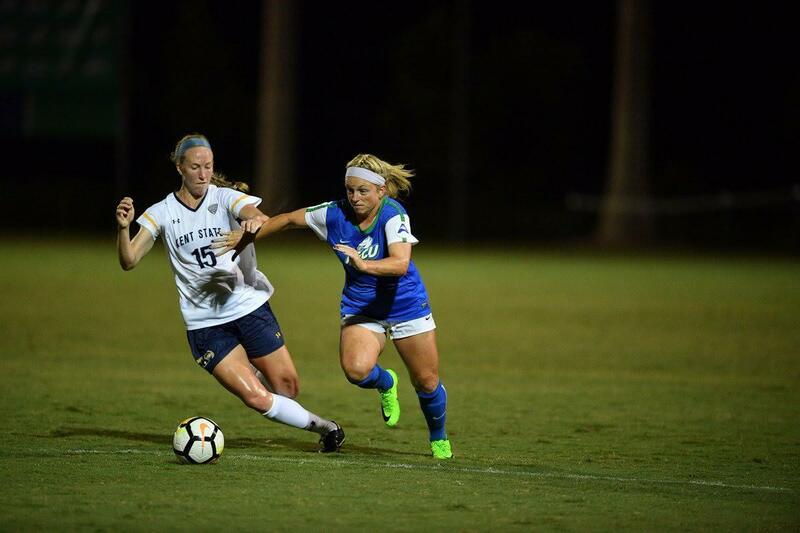 Recent FGCU graduate and women’s soccer player Ashley Parks has been nominated for the NCAA Woman of the Year Award for 2018. The NCAA Woman of the Year award is awarded to women student-athletes each year who have exhausted their eligibility and distinguished themselves in academics, athletics, service and leadership throughout their collegiate careers, according to FGCU Athletics. Three girls from each division (I-III) are selected as finalists, which will be announced in September. The NCAA Committee on Women’s Athletics then selects one Woman of the Year from the nine finalists, which will be announced at the annual award ceremony on October 28th. Parks recently was co-awarded with the Eagle Scholar-Athlete Award, which is the highest honor a graduating senior student-athlete can receive. The award celebrates those student-athletes who can combine athletic and academic success with community service. Additionally, Parks was a two-time ASUN All-Academic Team member and a Female FGCU Athletics Student-Athlete of the Month selection.